It’s clear that online reviews are swaying purchasing decisions. If you need more convincing, check out these stats from a recent local consumer review survey. 52 percent are more likely to use local businesses with positive reviews versus 28 percent who make their decision based on location and convenience. 52 percent trust authentic online reviews as much as word-of-mouth from friends and family. 76 percent stated they use online reviews to select the local businesses they will use. In this guide we walk you through a step-by-step process for taking control of your online reviews and reputation. Google continues to be the primary search engine people use to search for products and services. 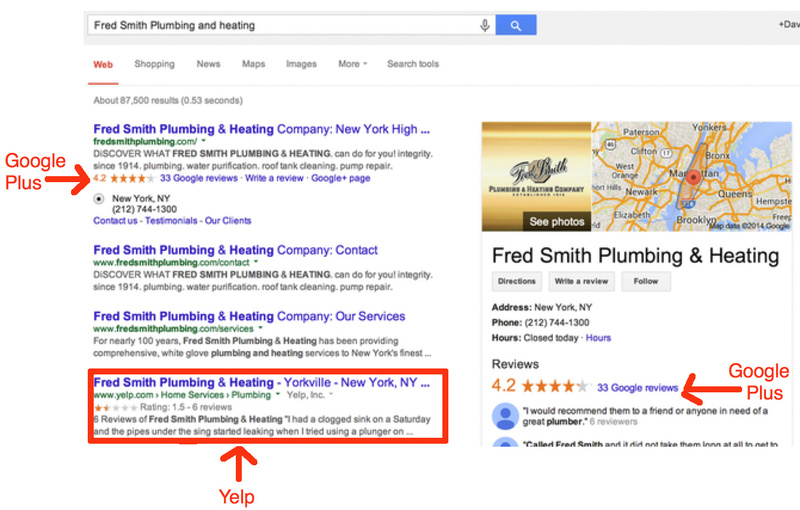 If your company has star reviews on your Google Plus page, they will show up in the search results. You can also have your star reviews show up in your pay per click ads. 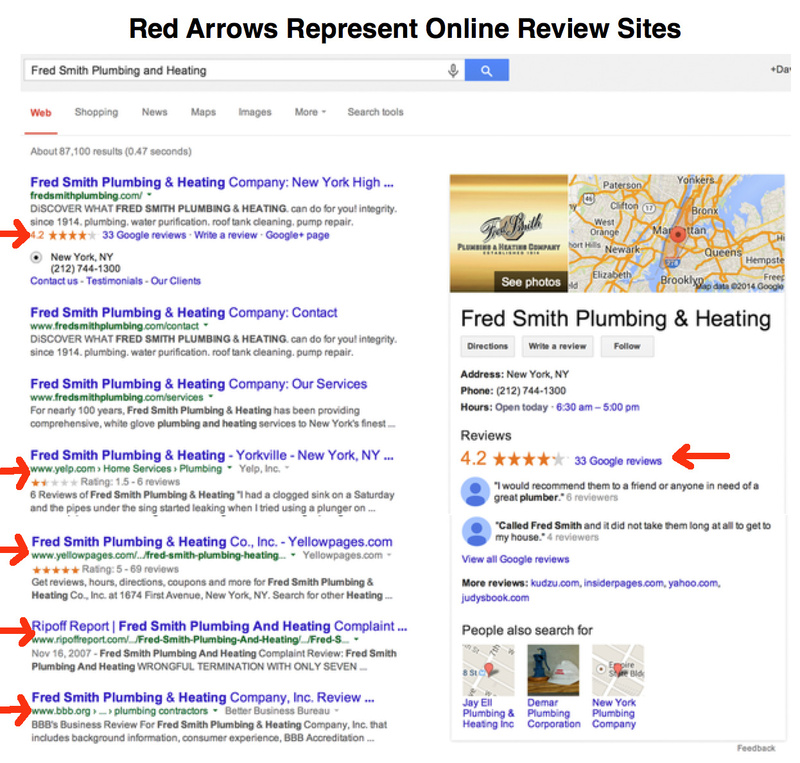 All else being equal, businesses with reviews on Google Plus are also likely to rank higher in the search results. So, start by setting up or claiming your Google Plus page, which you can learn how to do here. 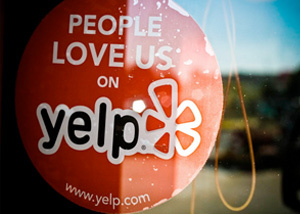 Yelp is the most popular consumer review site on the internet. There are currently 57 Million consumer reviews on Yelp, reviewing almost every type of business. In the first quarter of 2014, Yelp averaged 132 Million visitors a month. Yelp is also growing quickly. The number of reviews are up 46% over the last year, and the number of unique visitors grew by 30%. (Source: Yelp Q1 2014 Earnings Slidedeck). For more on how to setup your Yelp page for maximum effectiveness see our Ultimate Guide To Yelp. While likely becoming less important now that YAHOO and Bing are using Yelp Reviews, YAHOO local is still a very large review site that should not be ignored. You can find a full guide on how to setup and optimize your YAHOO Local Listing here. 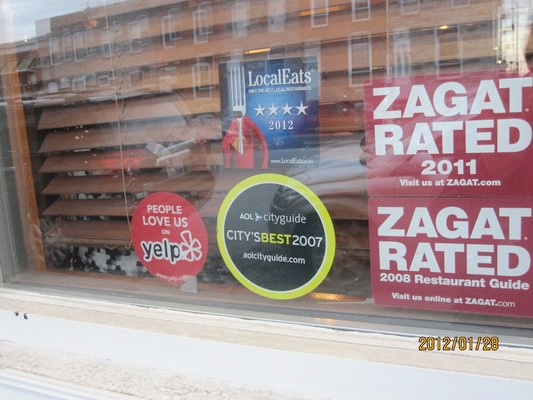 While not as important as Google Plus or Yelp, Citysearch and Insider Pages are also large review sites. Other review sites also pull in reviews from both these sites. Reviews on your Citysearch page will flow into around 15 other sites, and reviews from Insider pages will flow into around 8 other review sites. Once you finish your Google Plus, Yelp and YAHOO Local pages, go ahead and set these two up as well. The process is very similar. Next, you want to move to setting up or claiming your business page on industry specific review sites. In addition to searching for businesses on Google, many potential customers will also search review sites specific to your industry. This is especially true for Restaurants, Hotels, Local Service Businesses and Healthcare providers. Below is a breakdown of the major sites for each type of business. The next step is to search Google and see what other sites are ranking for your business name and industry related search terms. Your potential customers are are likely to place more emphasis on the review sites that we have already listed, than a smaller site. However, if there is a review site we haven’t already listed ranking on the first page of Google’s search results for your business name and/or search terms related to your business, you want to make sure you are represented in the best possible light. You should now have a good idea of what your online review situation looks like. Don’t make the mistake of going out and asking for a bunch of reviews, and then moving on to the next project. What’s important now is to put a process in place so that you continue to get positive reviews on an ongoing basis. A process that is integrated into your day to day tasks, and does not take a ton of time. Make it clear to your customers that you want reviews, and the sites that you want them on. To get the review buttons for your website, or stickers for your window, simply search google for “Review Site Name + Button For Website”. 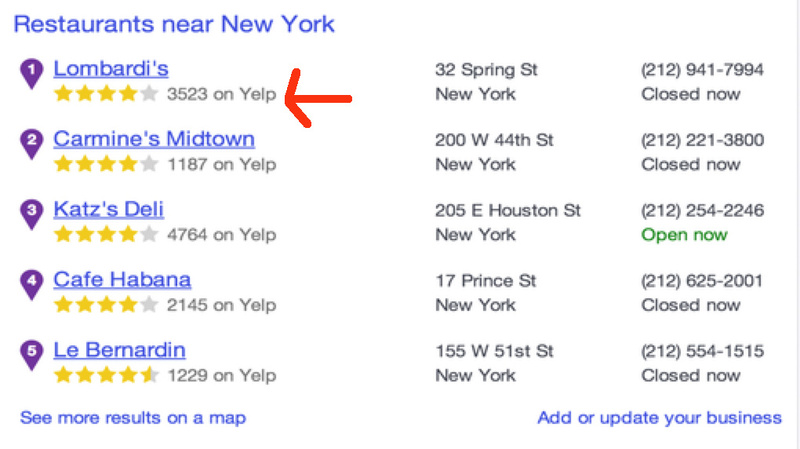 So for Yelp you would Google “Yelp Button For Website”. Also, think about other places where you might be able to integrate review sites such as menu’s, emails, business cards, or product packaging. Start Asking 8 to 12 current and former customers for reviews a week. If you have been in business for any significant period of time, then you hopefully have some happy customers. Start asking them for reviews, but not all at once. Google and Yelp have stringent review filters, and a sure way to trigger them is to go from getting no reviews, to getting a lot of reviews, in a short period of time. How should you ask for reviews? Start by asking in person. If the customer says that they will leave a review and don’t, then follow up one time via email. Many times this extra nudge will get them to leave the review. If it doesn’t, then let them be and move on to the next customer. Happy customers are more likely to leave a positive review if they know the business owner is going to see it. You will see negative reviews and have the opportunity to apologize publicly and then resolve the issue privately. You can set your email preferences on most sites to email you when you get a review. How to respond to positive reviews. This one’s easy. Thank them for the review, and tell them that you are glad they had a good experience. If they happened to mention something in the review that could be improved, thank them for that feedback as well. If you plan on changing something as a result of their feedback, mention that as well. Even the best businesses mess up sometimes, so you will get negative reviews at some point. If handled correctly however, you can turn the customer’s bad experience with your company around, and potentially get the customer to revise their review as well. 1. Own the issue. If you are not going to take responsibility then it’s better not to respond. 3. Offer to fix the issue (money back, product upgrade etc). This step is optional. 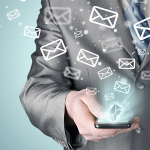 If you take this step, invite the customer to contact you in private to resolve. You don’t want a continued public conversation. Take a deep breath before responding and don’t be defensive. Keep the response brief. For examples of both good and bad responses to customer reviews see this article. Review sites generally own the copyrights to reviews left on their sites, so you can’t just copy and paste the full review onto your own website and/or marketing materials. Quoting the review however falls under fair use laws and is allowed, so long as you give attribution to the site where the review was left. Quotes as Headlines Use the best quotes on your website, press materials and social media. Change them monthly or as frequently as they come in. Make sure they are honest and believable. Statistics: Create statistics from your review pool. The sample should come from a sample of ten or more. Use the stats in your advertising, banners, social media and when leaving comments on blogs, forums and other public places. For example, if nine out of ten comments state your business is the best then 90% of your commenting customers think it is the best. Quotes as Slogans: Capture the essence of what customers are saying, such as: Our customers say we set the standard! Email and Promotional Campaign Themes: Theme your emails and promotions based on what your customers love about your products and service. BestFurniture.com – where 97% of our customers buy all of their accent pieces. On-site Signage: Sure – go on and brag a little or a lot! Use some of the best stats or comments as taglines on signage that is placed in prominent places, such as near the cashier station. Phone Answering and Message on Hold: Incorporate a phrase into the company’s phone answering or on-hold system. Customers Voted Us #1 – Best BBQ 3 years in a row! If you don’t take control of your online reputation other’s will. 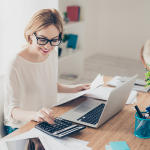 While it may seem overwhelming at first, once you get the initial work done, keeping up with your reviews shouldn’t take more than 20 minutes a day. Excellent information. Very useful guide for small business. I am impressed. good work David Waring. We appreciate you reading and dropping a comment! Hi David, it’s a great resource a small business owner to improve his business visibility online. I would also consider to add the website restaurants-nearme under “Restaurants”. Can you help with Yelp reviews? Have 35+ five star reviews yet I stopped paying Yelp and they are just posting the 3 1-2 star reviews. So do you help out with TripAdvisor reviews? Or do you just do consultation? Hey Michael, I can help you with your TripAdvisor reviews since I created an online tool for online review management. Let me know if you’re interested. Neither. We write reviews for small business products and services. Whenever possible, we test every product ourselves before we review and we also write the reviews before we develop any monetary deals, to ensure as little subjectivity as possible. By making our recommendations, our goal is to save the small business owner days of time they would have spent having to research for themselves.